The amateur sleuth that is Miss Marple has clearly lost none of her sparkle or appeal despite the current TV and film trend for sophisticated labs and hi-tech gadgets. 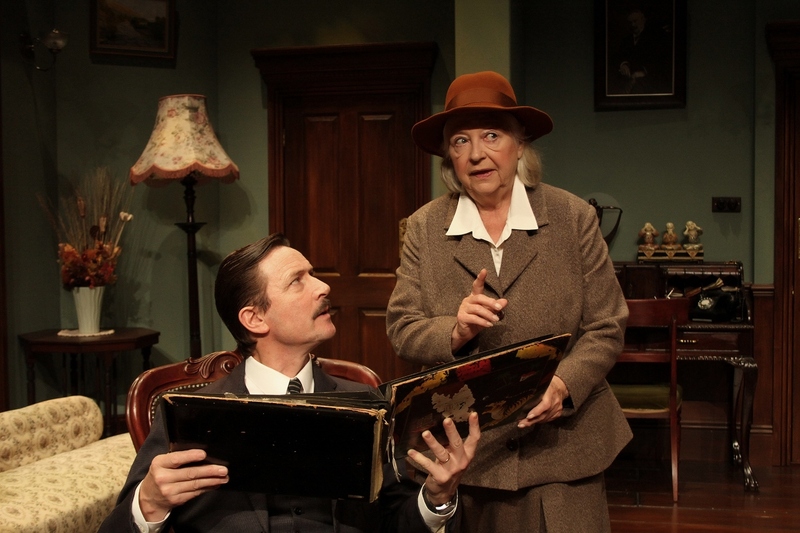 She is once again at her understated detecting best in the classic Agatha Christie mystery, A Murder Is Announced, which is performing this week at the Lichfield Garrick theatre. The title of the play is due to an alarming announcement in the local paper that serves the quaint sounding village of Chipping Cleghorn. It says that a murder is due to take place in the country house known as Little Paddocks at the precise time of 6.30pm on the forthcoming Friday. Needless to say, at that precise time, when several people are assembled in the lounge, the lights suddenly go out and three shots ring out. It would be unfair to reveal any more for those whodunnit fans who have yet to see A Murder Is Announced for themselves. But, having included myself in that category, it is fair to say that I did not see the precise end coming. The Middle Ground Theatre Company has created a lavish new production of Agatha Christie's murder mystery, which finishes its run at the Lichfield Garrick on Saturday 27 February before continuing its tour of the country. The production clearly benefits enormously from three leading actresses who each have distinguished careers spanning many years. The honour of playing Miss Marple goes to Judy Cornwell who is probably best loved for her role as Daisy in the BBC sit-com Keeping Up Appearances. 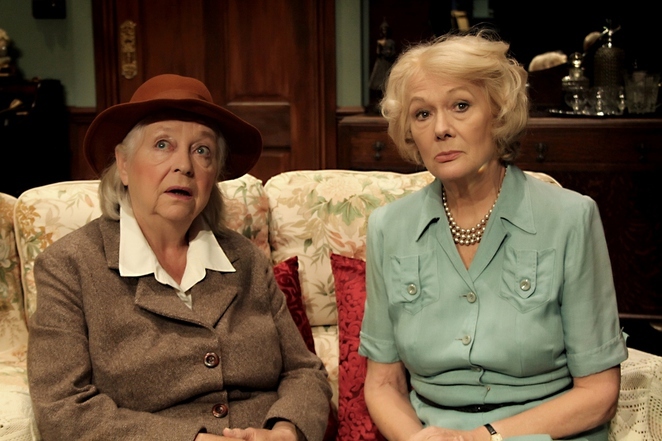 But there are equally splendid performances from Diane Fletcher, best known as Elizabeth Urquhart in House Of Cards, who plays the central role of Letitia Blacklock, and Sarah Thomas, who appeared as Glenda Wilkinson in Last Of The Summer Wine for 24 years, who plays 'Bunny'. An excellent supporting cast includes Rachel Bright, who played Poppy Meadow in Eastenders, Patrick Neyman, Dean Smith (Waterloo Road), and Tom Butcher, who brings his experience as PC Loxton in The Bill to the role of Inspector Craddock. In fact, in a seemingly rare occurrence for Agatha Christie, Inspector Craddock seems to be far more accomplished as a detective than the interfering Miss Marple. 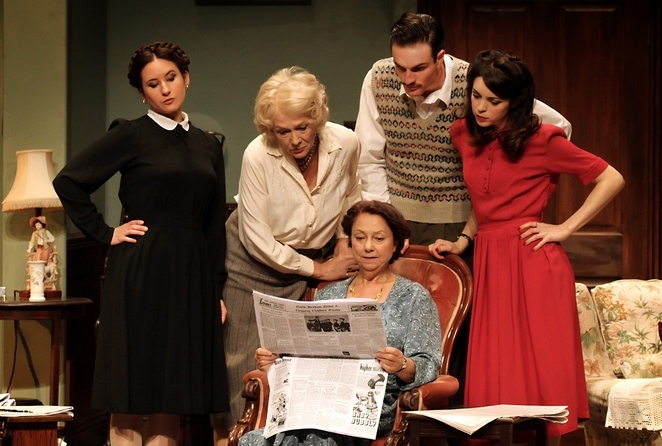 A Murder Is Announced runs at the Lichfield Garrick until February 27. Tickets costing from £21 can be booked by visiting www.lichfieldgarrick.com or by calling 01543 412121.